In an era dominated by melodies and easy to digest content, we present to you Golden Statements. 3 previously released singles from Forward Thinking recording artists Syn Kazualty, OfficialHardBodyMusic, & Con Marvelous, repackaged & repurposed as an EP. Pinnacle, Twisting The Cork, & Sincerely Yours now serve as a lyrical trilogy. 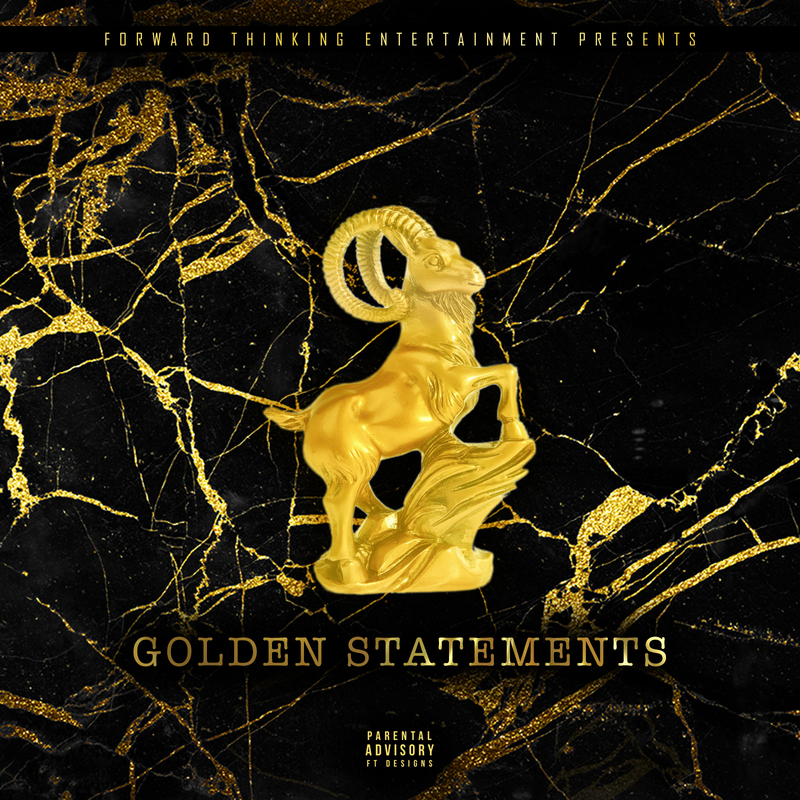 Backed by grandiose productions, thoughtful lyrics, & purposeful content, Golden Statements is a declaration of skill & talent. Each artist makes a statement. While individually their methods may vary, as a unit, the sentiment is the same. Quality over quantity. Listen now everywhere music is available!